It’s bubbly. It’s fresh and dry. It’s hot pink…but cool to drink. What are you waiting for? Turn any occasion into a celebration with this fun and fizzy Italian Rosé. The historic Abbazia winery made this light and delicate wine with refreshment in mind. Pour a glass and relish a foam of almost-creamy bubbles. Take that first sip and smile at flavors of raspberry and rose. Take a bite of a fun food like fried chicken or risotto, then take another sip. It’s just that good! 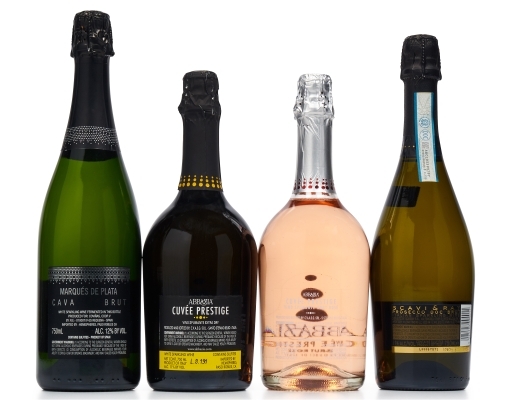 Prosecco fans, take note. 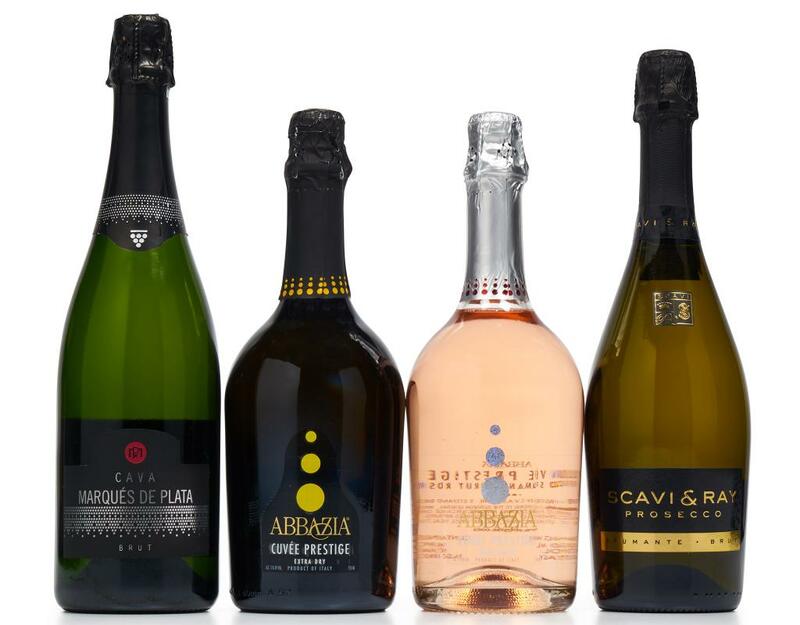 Our Cuvée Prestige bottling from Abbazia is produced in the Charmat method, ensuring a refreshing sparkling wine with a complex palate of flavors and tiny, concentrated bubbles. It is fruity and pleasant, with a balance of golden apple and spring flower flavors on top of a dry finish. We can think of no better way to celebrate than with this non-vintage sparkling wine made from Glera, the famous Italian prosecco grapes from Lombardy's Collio vineyards. Marques de Plata Cava has beautiful green highlights in the glass, aromas of delicate white flowers, and a fresh and fruity feel with an elegant finish. Open a bottle of this non-vintage Spanish sparkler whenever you’re celebrating, or looking to turn an ordinary evening into a special occasion. This enthralling Italian Prosecco is made from handpicked grapes grown in the Veneto region, in the northeast corner of Italy with mountains to the north and the Adriatic Sea to the east. Pop open a bottle and enjoy a refreshing, dry feel with fine bubbles.